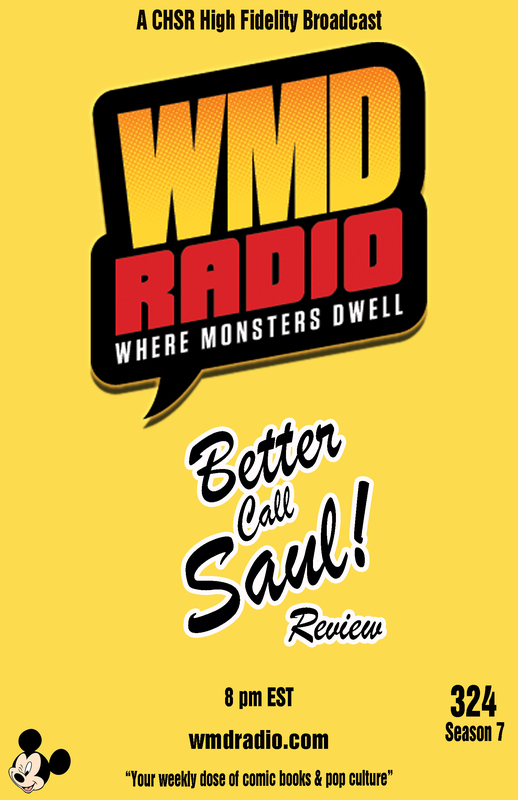 Episode 324: Better Call Saul!…Review! 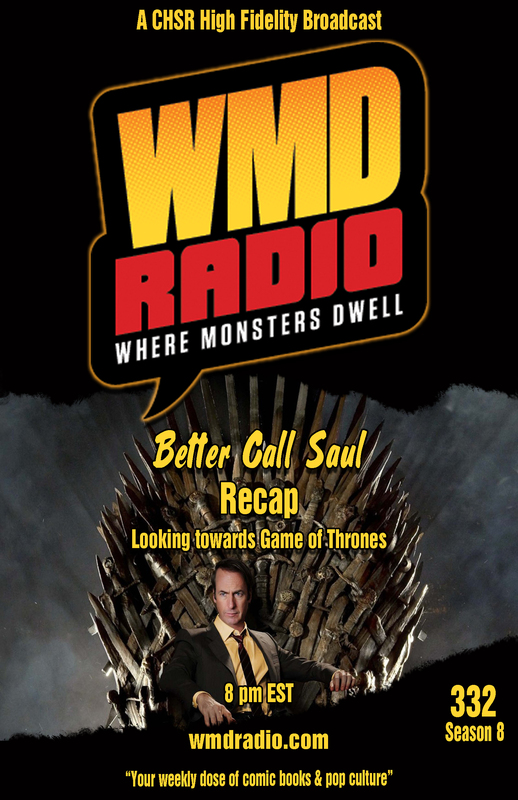 Remy is back from the Magic Kingdom, Better Call Saul!, and The Walking Dead premiered this week, and there is some big news from Sony and Marvel. Lots to talk about this week, hope you can find the time to join us. 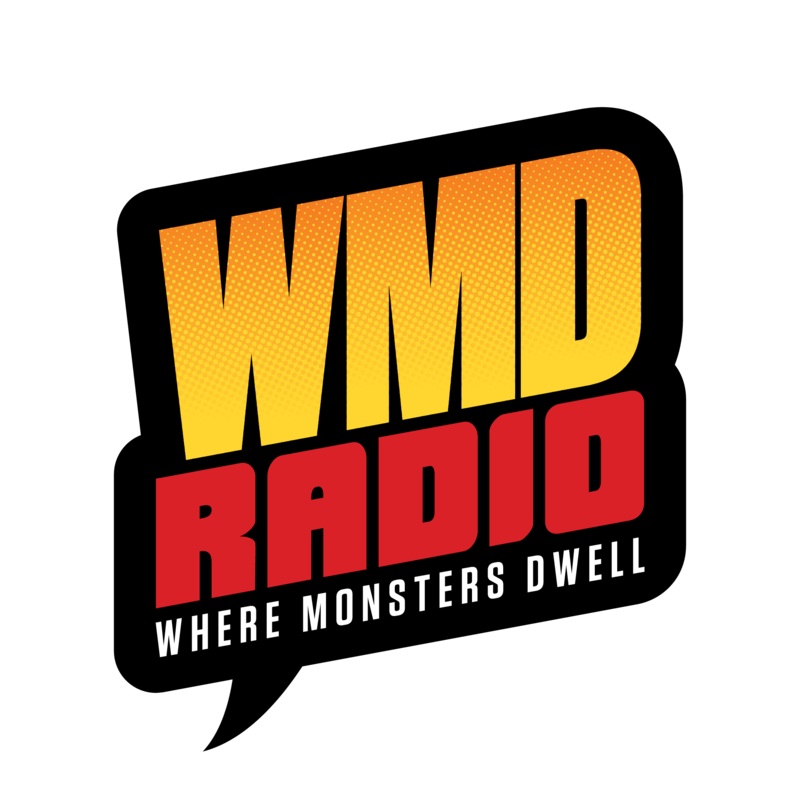 WMD Radio is sponsored by Club Fred Grafx and Strange Adventures and we get pop culture news from SciFi Mafia. 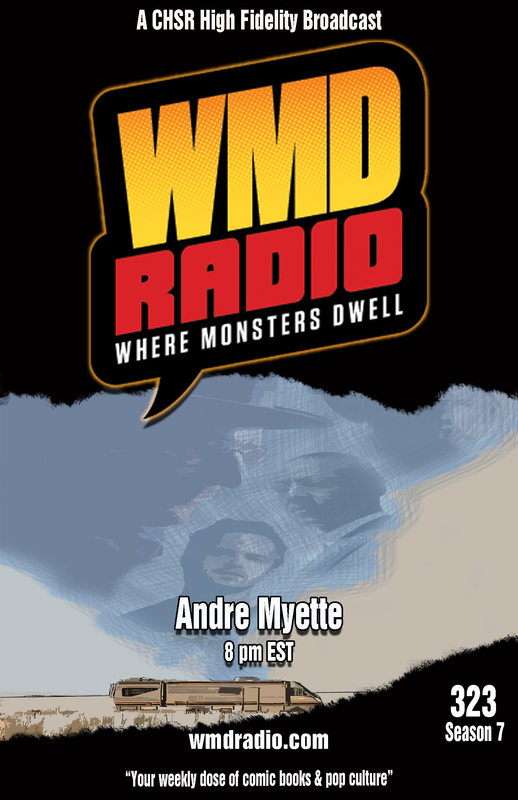 This week we are joined by André Myette, a graphic designer, independent artist and writer. His published works include ‘Humbug!’ a graphic novel the follows the continuing adventures of Ebenezer Scrooge, as well as a collection of stories titled “Horseshoes& Hand Grenades”. We’ll also be gleefully gearing up for next weekend’s return of the Walking Dead AND the much anticipated premiere of AMC’s “Better Call Saul”. Be sure to tune in to CHSR 97.9FM and wmdradio.com on Wednesday, February 4th, at 8PM EST / 9PM AST. We’ll be LIVE right after the hockey game!